Marketer, market thyself. Or at least come up with better branding for your agency. That’s what I suggested to Snap! Marketing, an experiential/engagement agency where I became the creative lead: to present itself as a worthy marketing partner to blue-chip accounts, it needed a blue-chip identity that was reflective of being able to play at a higher level. I developed a name and brand platform that belonged to a full-service shop capable of real partnership, not to a vendor-level entity. 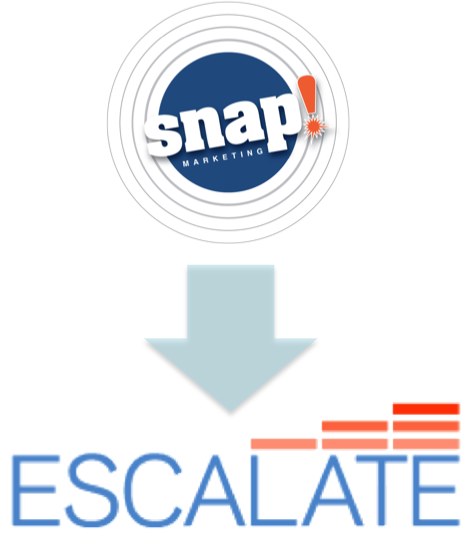 The name we arrived at, Escalate, reflected not just a new brand promise to clients, but also served as the name for a proprietary internal process for arriving at insights and activation.